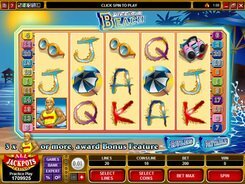 Life’s a Beach is a bright and nicely designed video slot that will get you into a summer mood. 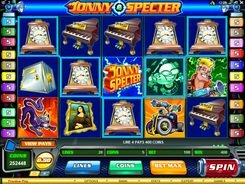 Played over five reels and twenty paylines, the slot features beach-themed icons such as a portable cassette recorder, sun glasses, an umbrella, a bar, a beach babe and a lifeguard; these are accompanied by standard playing card icons from 9 to ace. 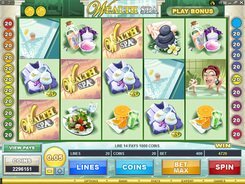 The controls under the reels allow you to change a coin value ($0.01–$0.5), select the number of coins per line (1–20) and set up the number of paylines you want to activate. The minimum and maximum bets that can be placed per spin are $0.01 and $200, which will appeal to high rollers. 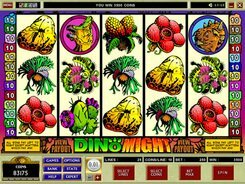 The first jackpot in the slot is an eye-watering 12,000 coins paid out for five Beach Bar symbols. 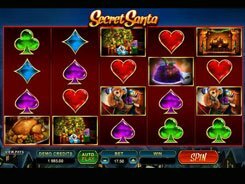 So making the highest bet per spin, you can grab up to $120,000 in one lucky spin! The Beach Babe acts as a replacement for regular symbols appearing on reels 2, 3 and 4 only, yet a wild does not generate winning combos on its own. Three or more Lifeguard symbols scattered on the reels trigger a bonus feature. On the second screen, you are to select 4 of 6 umbrellas that award a random cash prize. PLAY FOR REAL MONEY!